Life as Pink Einstein | Dallas Fashion and Lifestyle Blogger: Opening My Second Jadelynn Brooke Rep Package! Opening My Second Jadelynn Brooke Rep Package! Everyone loves when I post videos on the blog and some of my friends have even requested for me to post a couple of videos. I'm not very good at it but I gave it a shot. Here is my JLB rep package opening video! 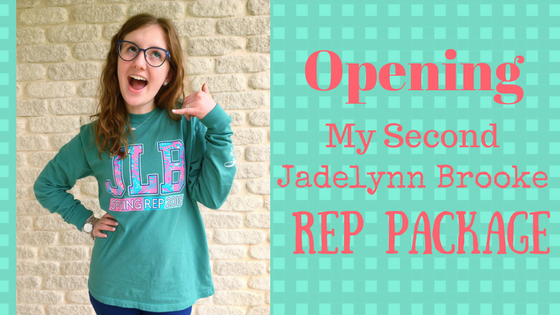 Today I am opening my second Jadelynn Brooke rep package! You can use my code SLMHS for 15% off on JadelynnBrooke.com.